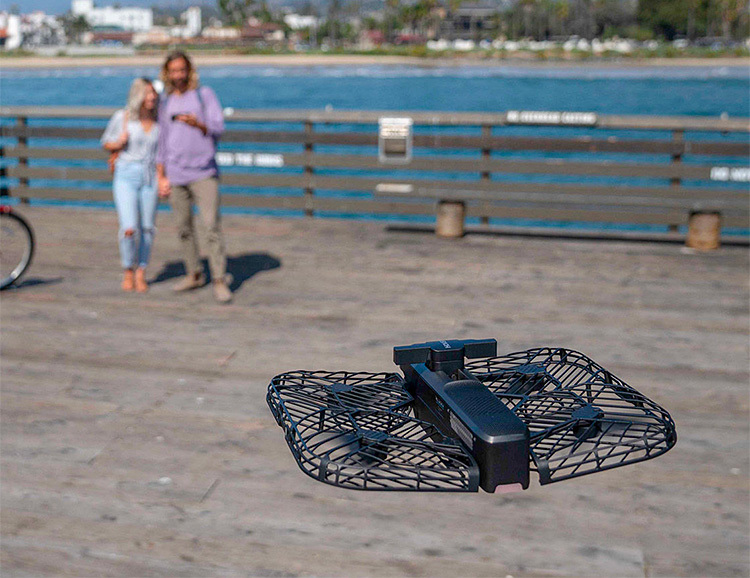 The much-improved Hover 2 foldable selfie drone delivers 4K 30fps video capture, 12-megapixel photos, face tracking and body tracking, using either your smartphone or an optional upgraded controller. It features a stereo camera set-up that provides depth perception & obstacle avoidance, so it can follow you freely at speeds up to 16meter/sec. It has a max flight time of 23 minutes—double the old model—and the main camera operates on a 2-axis gimbal with a pitch range of -90 degrees to zero degrees for getting the shot at any angle.